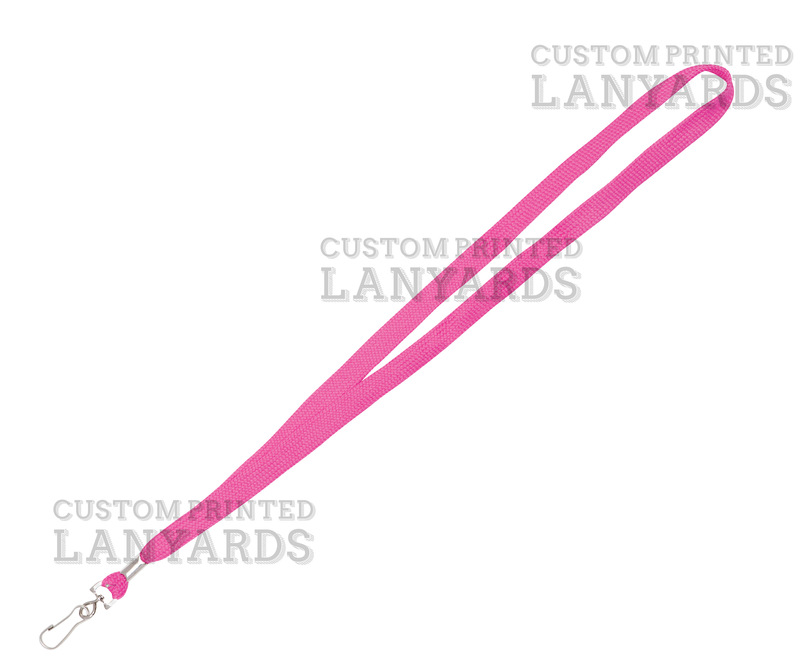 Pink Lanyards are a fun colour that would ideally suit a charity or similar type function. Made from 12mm woven polyester material, these brightly coloured pink lanyards come with a simple j hook for easy attachment of any of our cardholders. If you want to catch someone's attention, you can't go past our charity pink lanyards and as we have them in stock now, they can be shipped immediately. To customise a lanyard like this check out our cheap printed lanyard.